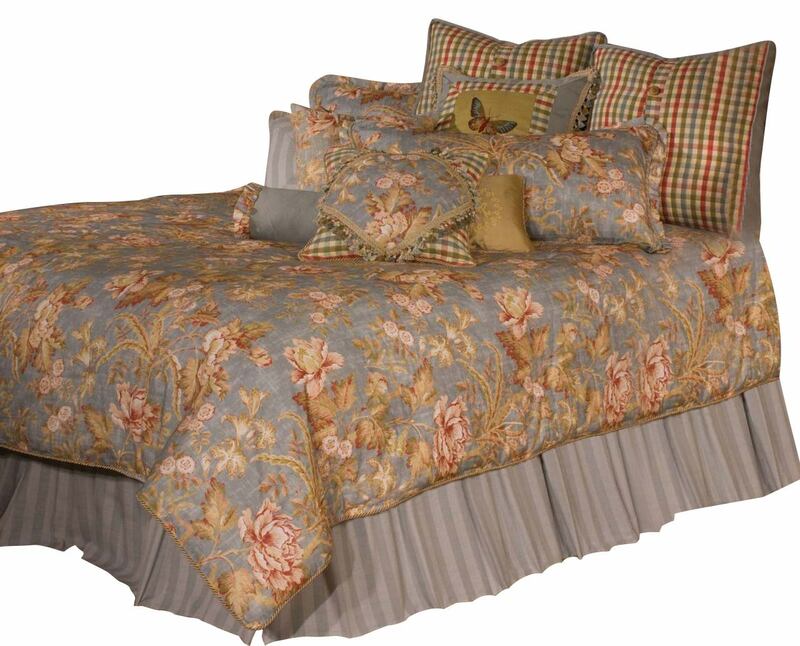 Soothing colors with soft natural colors mix with a stylish checked pattern. The Tricia Bedding Set pairs easily with your existing décor and will sure to add a new decorative element to your bedroom. Coordinate embroidery Butterfly create another dimension to this bedding set. The euro shams and decorative pillows are reversible. All decorative pillows are filled with feather inserts. This set is available in either a 13-piece King set, or a 12-piece Queen set.